Gene Therapy Clinical Trials and You! – LA Kelley Communications, Inc.
A special request and letter to the hemophilia B community! As you may know, since 1990 LA Kelley Communications has been educating the hemophilia community about hemophilia. In the February 1998 issue of PEN, we actually were the first to break the news to the world about the first hemophilia gene therapy trials. Gene therapy is a subject we care deeply about. Gene therapy for hemophilia is moving closer to becoming a reality, but it can’t become a reality unless patients participate in clinical trials. uniQure is one company that has reported encouraging data with respect to factor IX levels in its recent phase 2b Dose Confirmation trial for a hemophilia B gene therapy. 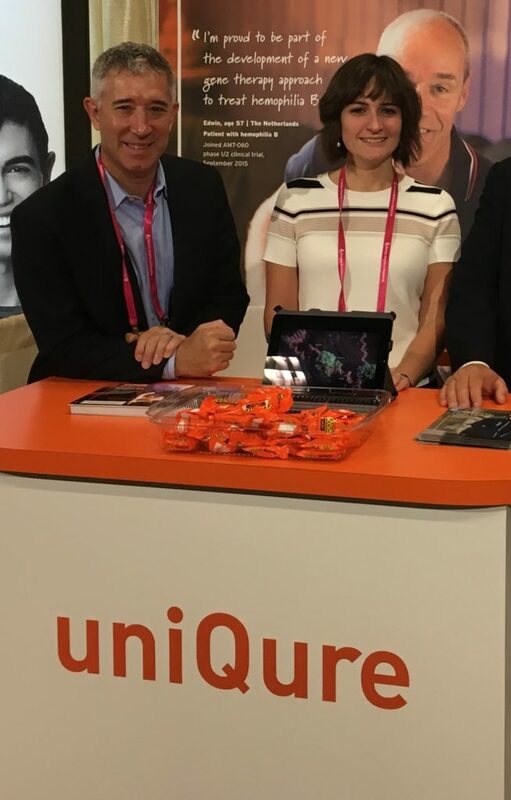 Discover more about uniQure’s current gene therapy trial for hemophilia B by reading a message from uniQure, and clicking through the link below. And please consider whether you’d be interested in participating in a trial! My name is Dan Leonard, I am the Senior Director of Global Patient Advocacy at uniQure. uniQure is a company developing an experimental gene therapy to treat severe and moderately severe hemophilia B. We are currently conducting a phase III clinical trial – known as the HOPE-B trial – and wanted to make the community aware. You can find more information about the clinical trial at the website www.hopebtrial.com . You can also find more information at a government-sponsored website, www.clinicaltrials.gov . Simply enter NCT03569891 in the “Other terms“ search field, and you will see where the clinical sites are located along with other important information. The most important step to take when considering a clinical trial is to speak to your doctor. Your doctor can help you understand if a particular clinical trial is appropriate for you and if you meet the criteria for the trial.